Brings together the powerful features of our best-selling Server products. With the ability to have up to 1000 CALs for each Server product, Workbench Server can meet the demands of organizations at any size. A web-based server solution that gives you the monitoring and management features of BI xPress to easily share information about your BI systems throughout your organization. 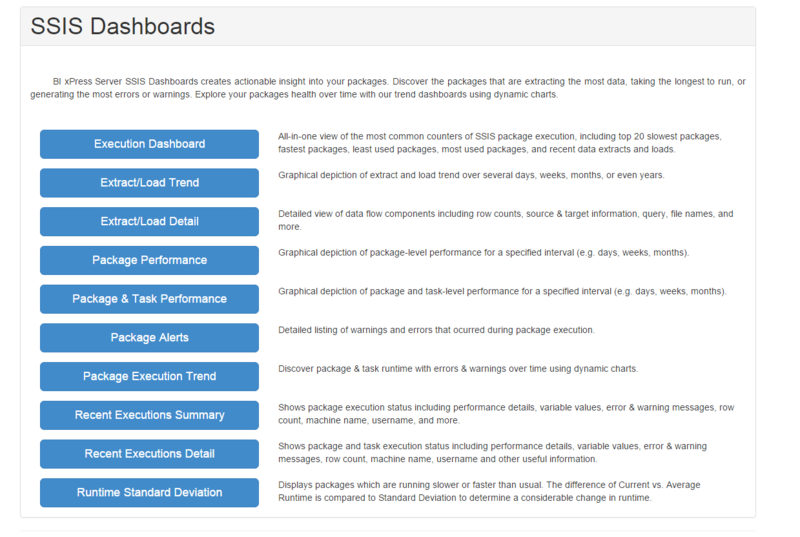 Easily monitor SSRS reports and SSIS packages, dive into performance trends and notify users when packages succeed or fail. 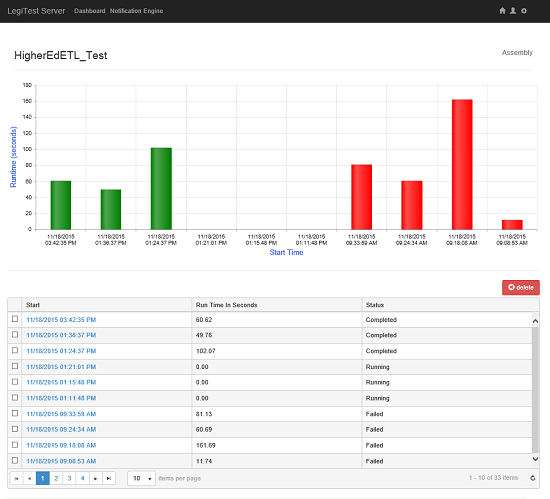 LegiTest Server gives your users a hub to understand and monitor the quality of your data-centric solutions. It delivers the ability to execute, view and share your test results with others in real-time. It also tracks historical results for the tests, giving you the ability to compare and validate today’s test results against previous dates. The powerful integration with the Notification Engine enables you to notify your users when tests and data validation succeeds or fails, giving everyone in the organization trust in the data you develop. DOC xPress Server makes it much easier to share documentation, lineage and data dictionary information in your organization. With the web-based user interface, you can provide access to all of your business and technical users, without requiring them to have a desktop installation. Our Workbench bundles bring together our most popular products in one application. Save on your software purchase by purchasing this bundle.